First of all, I am excited to report that I am embarking on another weekly book read and blogging journey. The book is The Disciplined Leader: 52 Concise, Powerful Lessons (2015) by John Manning. I had the opportunity to preview a copy of his book and participate in the book’s launch through Becky Robinson and Weaving Influence. I was fascinated by the book and have actually developed a friendship and professional camaraderie with John Manning. I am continued to be amazed by the power of Twitter for making professional connections. The start of our relationship is based solely on Twitter (@JohnMManning). I am sure I am right when I say it is the greatest professional tool available today. You can check out my Tweets at @ByronErnest. I also decided the book would make the perfect reference material for our Focused Leader Academy that we have started at Hoosier Academies. 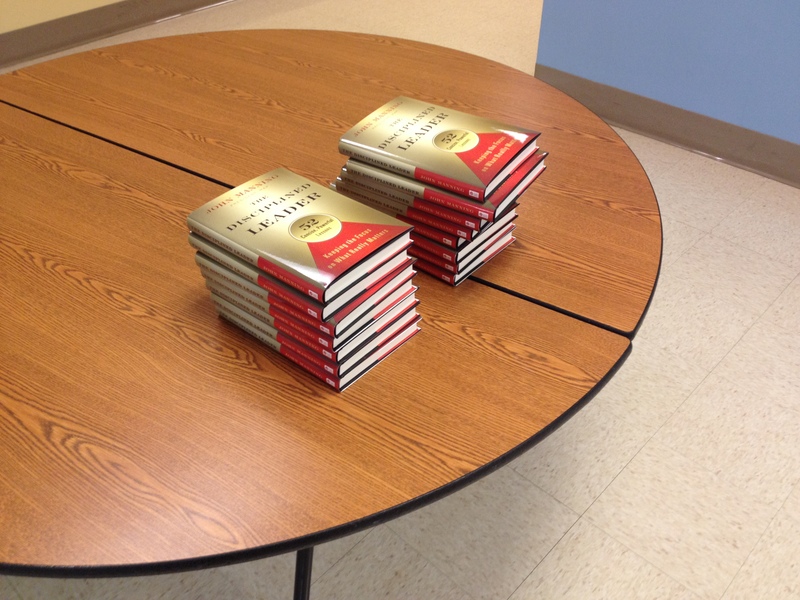 All the participants will be blogging about a lesson in the book each week till we complete the 52 lessons. I am hoping for them to experience the joy and professional growth that can be experienced while “blogging the journey.” John was great enough to inscribe and autograph a copy of the book for each of our participants. How cool is that? 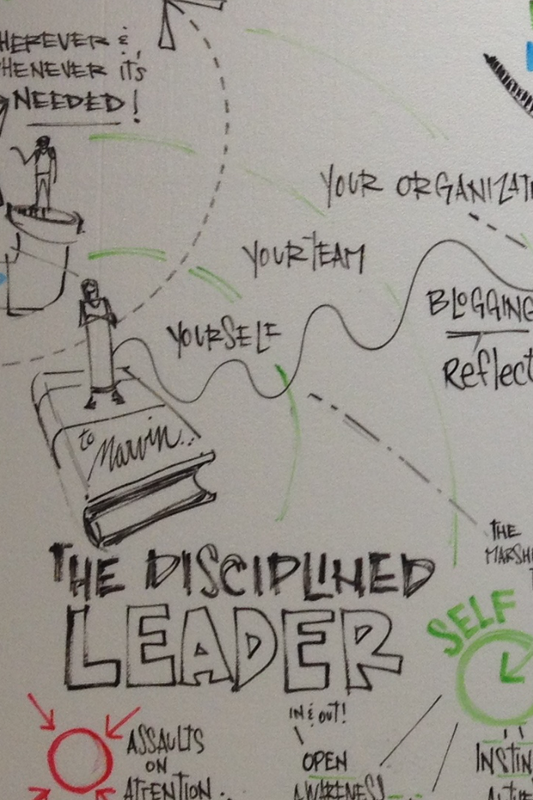 Through John Manning’s research with Management Action Programs, Inc. (MAP), he has discovered that a disciplined leader focuses on these three core areas of leadership. But the point that John really drives home in the introduction of the book is what all great leaders do well: “they consistently disciplined themselves to focus on what really matters – people.” (Manning, 2015, p. 4) He also asks the question: “What percent of your budget do you allocate to develop your people?” This is why I believe our Focused Leader Academy is so important to Hoosier Academies. I am very proud we have started this program for the development of our teacher leaders. Not only is it the right thing to do for them, but it will also develop our future leadership bench. The first lesson in the book is “Make the Commitment.” The idea is that we must be fully engaged and emotionally, mentally, and physically into our learning. The changes that will result form this commitment to professional growth be amazing and lead to great things, but it will not be easy. The first step to this is becoming a focused leader and creating a vision for success. Manning (2015) suggests we must create an “it’s time to change” mindset. In other words, we must start with an inward focus. Directing others’ attention is a primary task of leadership. But to do it well, leaders must be able to focus their own attention. And these days, that’s difficult. A constant onslaught of information leads to sloppy shortcuts – triaging e-mail by reading only the subject lines, skipping voice mails, skimming memos and reports. We think we’re reducing distractions, but these habits actually make us less focused. People commonly think of focus as directing your attention to one thing while filtering out other things. But research shows that we focus in many different ways for different purposes. The various types fall into three broad categories. The first two—focusing on self and focusing on others—help you develop emotional intelligence. The third, focusing on the wider world, can improve your ability to devise strategy, innovate, and manage organizations. Fortunately, you can become a more focused leader with the right kinds of exercise. Focusing your attention on yourself involves self-awareness, or getting in touch with your inner voice. This is where emotional intelligence begins. It also involves self-control, or willpower—which allows you to put your attention where you want it and keep it there despite the temptation to wander. Manning (2015) also points out that we must learn to control our emotional reactions. Really, I call this learning to respond instead of reacting. We must also, according to Manning (2015), learn to take care of our health and well being to maintain the balance in our life that will allow us to become focused and disciplined. Finally, Manning (2015) suggests that we journal about our progress. I am excited that we are doing just that as the Focused Leader Academy participants blog their journey in The Disciplined Leader. I can guarantee you they will be blogging about more than just the book portion of this journey learning to be focused leaders. « Journey of Significance: What’s Your Unique Contribution?